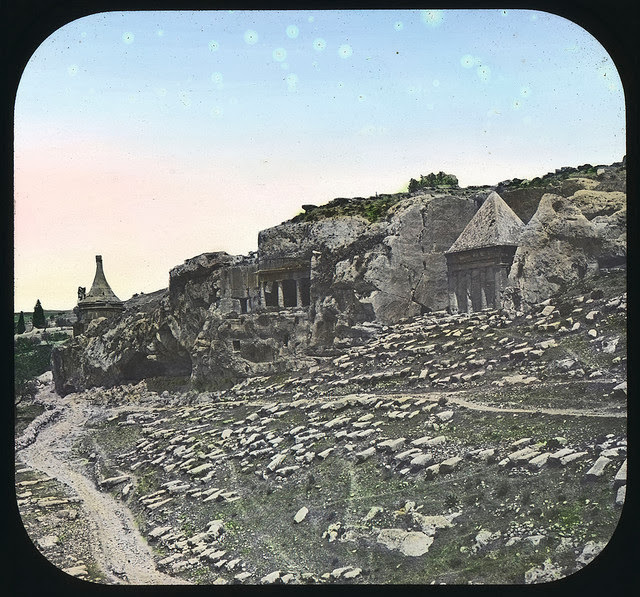 Jerusalem, Holy to All Religions. 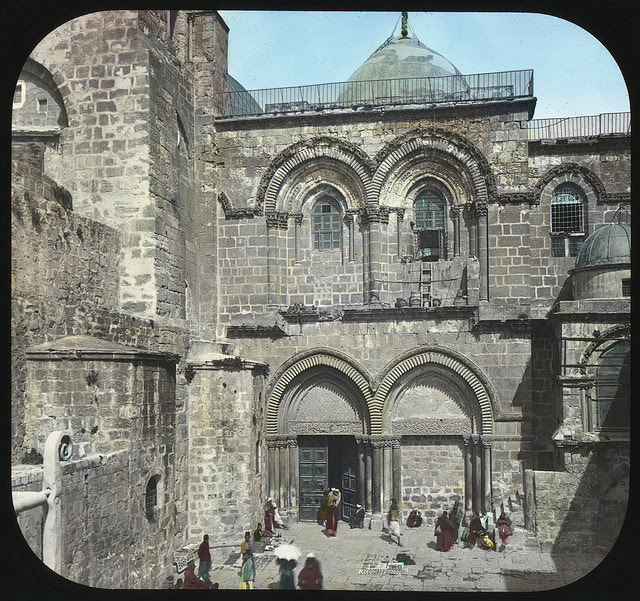 The Chatham Library archives contains 110 photos of the Holy Land, but we have focused on the photos of Jerusalem. We present today the third part of our series. 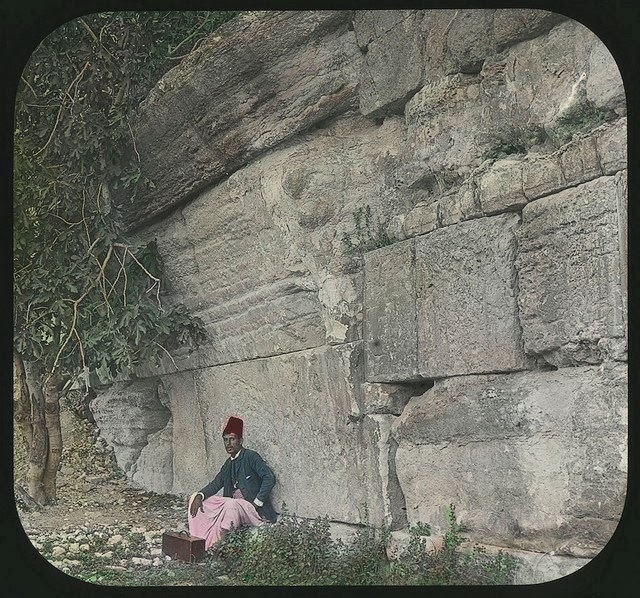 We express our admiration and gratitude to the archivists at Chatham University for digitizing these hand-colored slides dating back to about 1890. 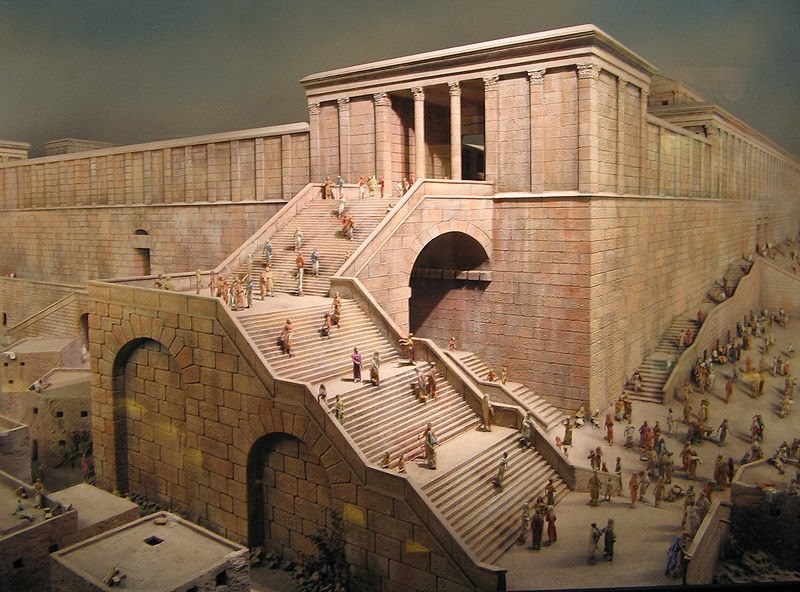 The picture of Robinson's Arch published above is the base of a massive arch built by King Herod. 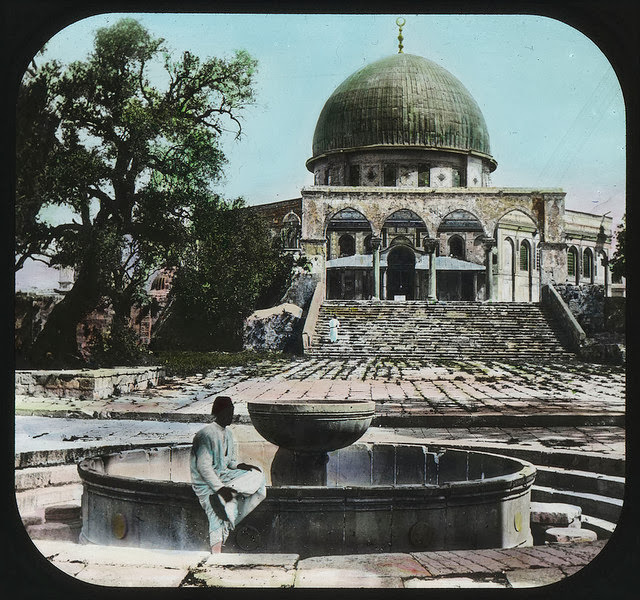 Archaeologists believe it was the anchor for a large bridge or staircase from the top of the Temple Mount. Sta" on the bottom left. The Jerusalem Train Station was completed in 1892. 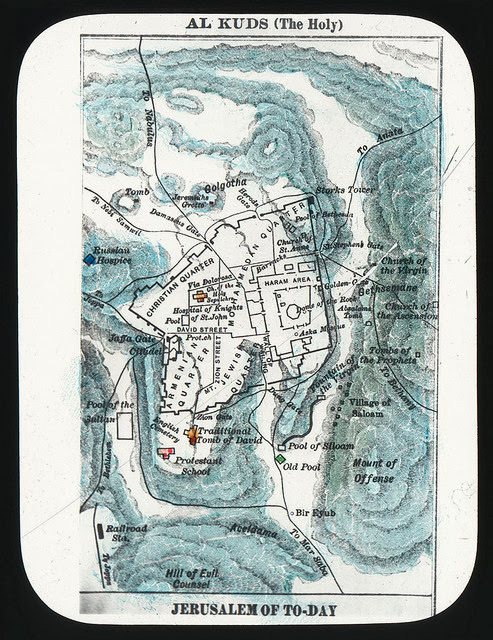 The Chatham collection also contains a map of Jerusalem. 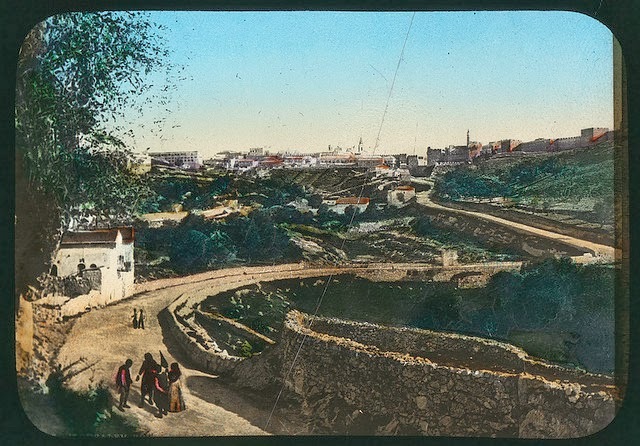 Note that few buildings were to be found outside of the Old City walls. The Jerusalem Railroad station was completed in 1892, and can be located at the bottom left of the map. The map, therefore, was printed after 1892. The reference to the train station can also date the following picture's caption. 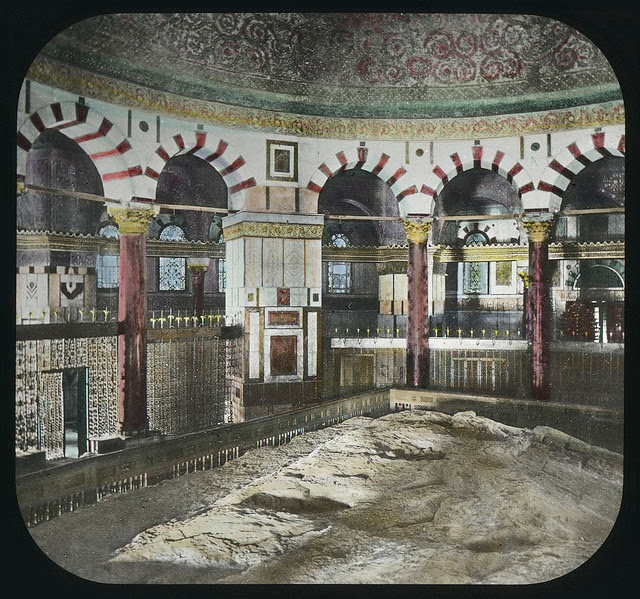 The photograph was taken near the location of the Mt Zion Hotel of today, itself the refurbished St. John's Eye Hospital established in 1882.
foundation stone of the Jewish Temples. See more here.